A well known band in their home of Serbia, AlogiA is enjoying the worldwide that is helping them get even more exposure than they did before. Moving across the globe, AlogiA is taking the hearts of music lovers by surprise. Their style is power progressive metal and many fans around the world are tuning into their songs, enjoying what they're hearing, and looking for more. So, AlogiA is delivering in a brand new CD that is set to come out worldwide in 2015. On top of that, AlogiA is releasing all of their old CDs and English in hopes to find a bigger audience from around the world, and it's working. Song by song, they are garnering more fans that had never heard of them until recently. Formed in 2000 by Serbian brothers Miroslaw and Srđan Branković, AlogiA started off as just two brothers playing around on guitars. Now, the band features Nikola Mijić on vocals, Vladimir Đedović on the keyboard, Vladimir Ranisavljević on bass guitar and Srđan Golubica drums. With the additional band members, the music grew as well. They now have a solid sound that has made them popular around Serbia and now around the world. Though they are relatively unheard of in the smaller places in North America, that will soon change. Their CDs are quite quickly becoming popular and well loved in many households. Part of their new fame is due to the fact that they have gotten much exposure by opening for bands such as Whitesnake, Apocalyptica and Savatage, all of which are popular names that we all know and love. 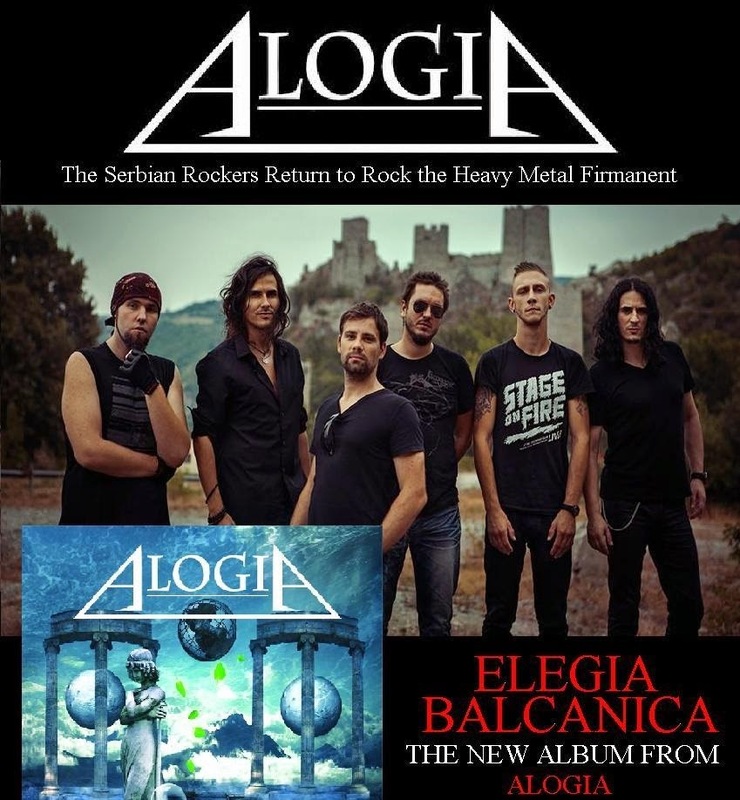 Though AlogiA still has quite a ways to go in order to match up to these world renowned bands there quickly making a name for themselves by opening for many bands such as the ones listed above as well as other big shows and headliners. In opening for these bands, their own music and band has gotten plenty of attention from all kinds of media, including TV and radio. A lot of these outlets have invited them to play on the air and on screen, helping them gain more followers and more exposure which has led them to become the well-known name that they are now. Other appearances include festivals such as Exit Hendrix fast and Hard n' Heavy, all of which have large audiences everywhere. Though, AlogiA has had 15 years of experience and success since their beginning in 2000, they did not start making a name for themselves until about 11 years ago, though the four years before that were very important to helping them develop the sound that is famous today. 11 years ago they signed onto the very important label that has helped them become the superstars there are today. After that they were quickly broadcasted on shows such as the ones listed above. It's safe to say that this very important label help them gain the success and respect that they have as musicians today. 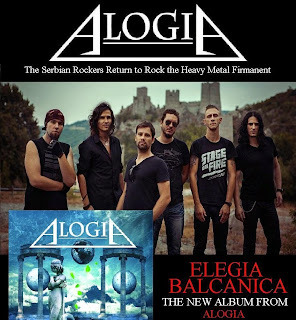 Their new album, Elegia Balcanica is available in Serbia now, and will be available worldwide in 2015. This band is full of hard looking musicians that know their stuff. Though it could be our argued that they are just like any other rock band, when you listen to their music you can see the individual flavor that their different culture has provided. This music has a different kind of sound to it that makes it unique, interesting and very different from anything that we've heard on our side of the ocean. It's easy to see how they got a good reception by opening for these other big name bands: their music is similar enough to be comforting to those who come to see the big names, but is unique enough to for the audience to remember it after the show. This would mean that they would be more likely to buy CDs and other paraphernalia that would help them get their name further across to the general public. There are many well voiced people in the world that'll argue that music is all sounding the same these days with the same big names making the same big records with the same labels. AlogiA is helping break that trend with their different sound from a different culture. For the same reason that we don't like to think about other cultural problems, we don't intend to take into consideration the music for different places. It's nice to see that this awesome one-of-a-kind band is making a name for themselves just simply by being that good. No one can argue that part of their success is due to excellent advertising by their labels, however it's nice to see that they've also made a name for themselves simply due to the fact that they are talented musicians that stick to their own guns and follow their own dreams on what their music should sound like. On their most recent CD the band members talk about how the Balkan themes and taste makes their sound more unique and authentic. Their hopes are that their loyal audience members and fans will enjoy this new touch while still recognizing the general theme that they have put forward this far. This new theme is also a great idea for getting new fans who have not heard of them thus far, but will be converted into loyal fans once they have heard this new CD. All of their songs including their newest are available to be listened to online. You can find all of their CDs and information at your most popular music stores both online and in-store. It is refreshing to hear that a band like AlogiA is doing so great in a world that is so self centered and focused on what day can offer instead of what other cultures can offer us instead. With their success thus far, there's no doubt that this band will continue to do great things in the future with all of their Talent which they have been gifted.